Horizontal Rice Whitener MNSW18F*2/30F*2 is an ideal equipment designed for whitening the brown rice which is already processed by husker and paddy separator. ◆ Product features ,Long roll milling,rice be more smooth and shining. ◆ Long roll milling,rice be more smooth and shining ,whole rice rate is higher. ◆ Parallel roller design,separate bran collectors and independent air-flow adjustments,which facilitates stable and flow in both milling chambers. 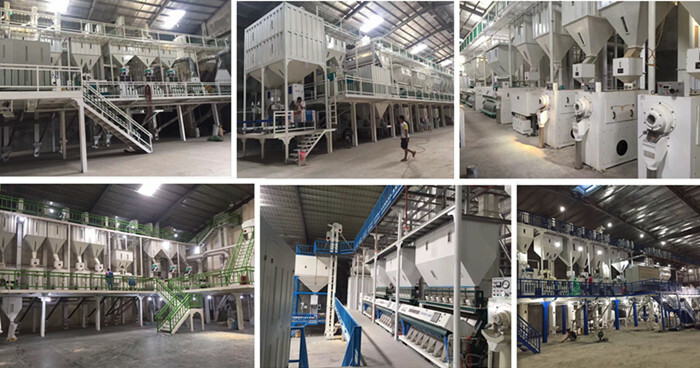 ◆ Using the outer fan medium-voltage convulsions,addtioal air from the spindle two ends and feeding port,low temperature,less broken rice and chaff rate is low. ◆ Rice exiting adopts drip graded plate and rice bran second separated device,can effectively cool and purification of rice.